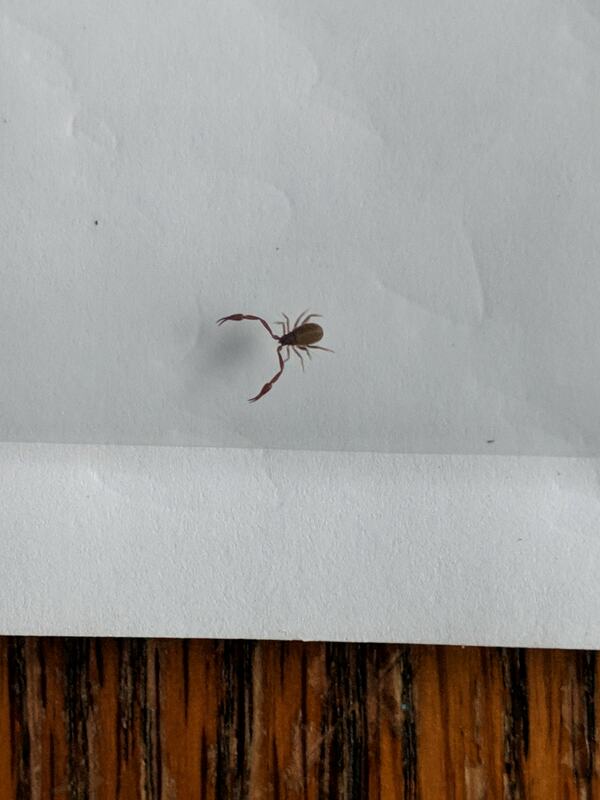 This isn’t a spider, but rather a pseudo scorpion. It’s the first time I have ever seen one. I have lived in northern Illinois for over 50years and this is a first. I wonder if it could have come in with a postal package.